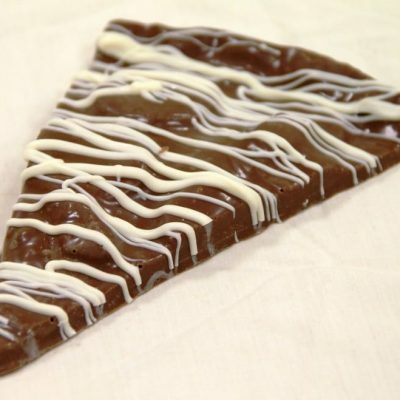 Get ready to enjoy our biggest Chocolate Pizza Slice! 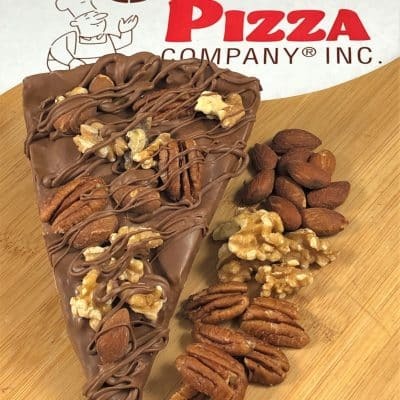 At 9 oz, this “supreme” Slice of chocolate nirvana comes loaded with a dizzying array of candy favorites atop our rich milk chocolate blended with homemade English toffee. Once you’re caught in this Chocolate Pizza Slice’s grip, everything else seems tame. Packaged in clear cellophane. 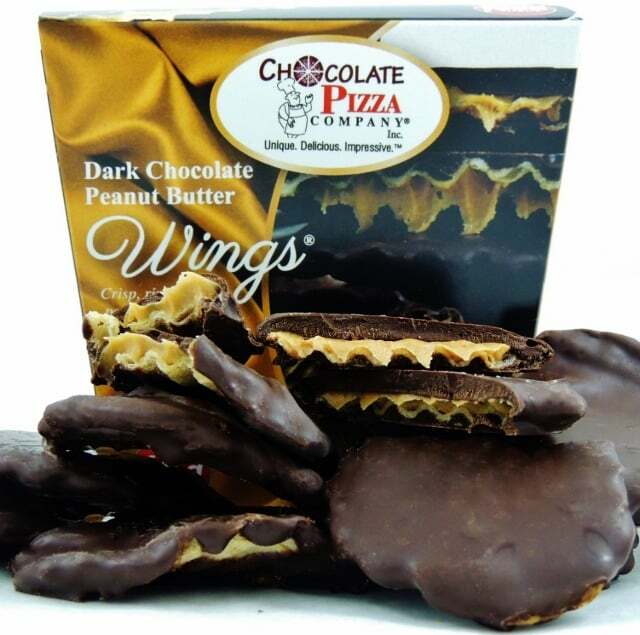 Don’t forget to make it a Combo and add Peanut Butter Wings! 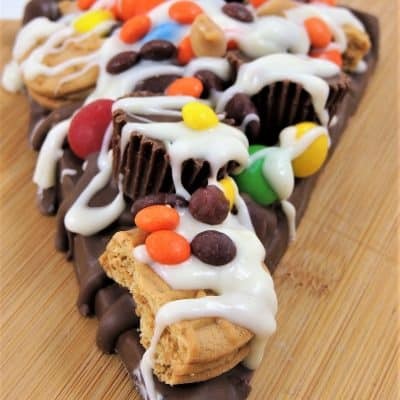 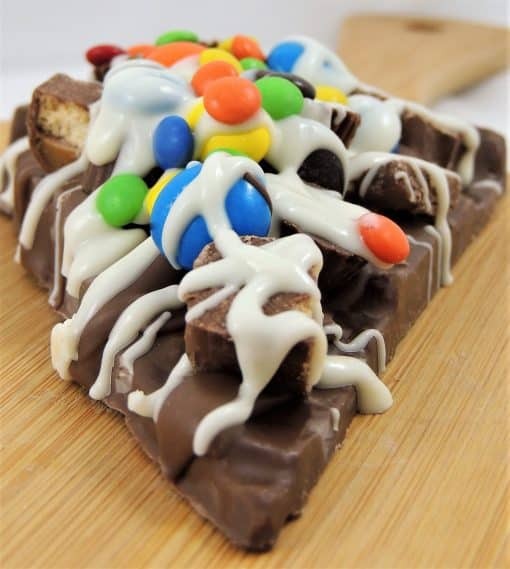 Candy Avalanche Slice of Chocolate Pizza – now that has a ring to it! 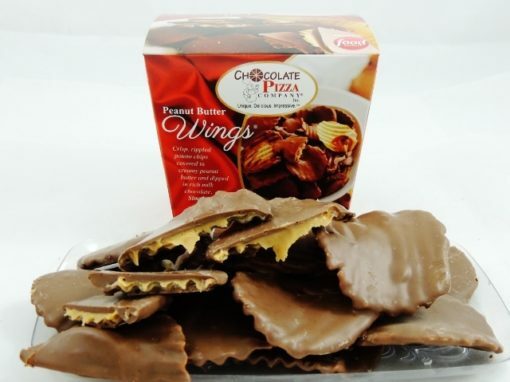 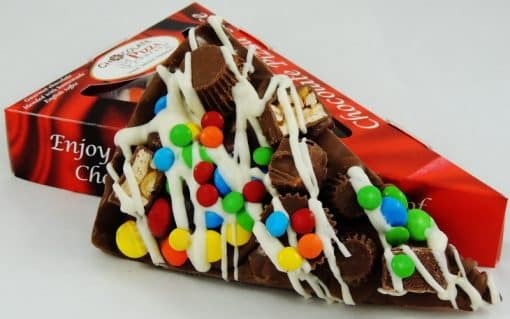 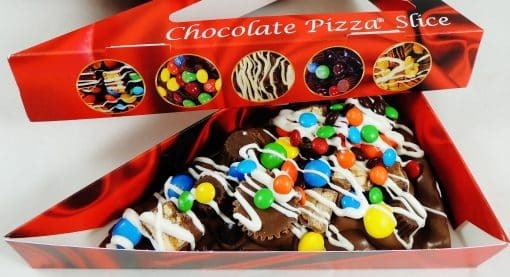 The same famous taste as our full-size Candy Avalanche Chocolate Pizza is served up in a 9 ounce Candy Avalanche Slice. The Candy Avalanche Slice starts with a blend of rich chocolate and homemade English toffee that is then topped with a bounty of chocolate and peanut butter candies. 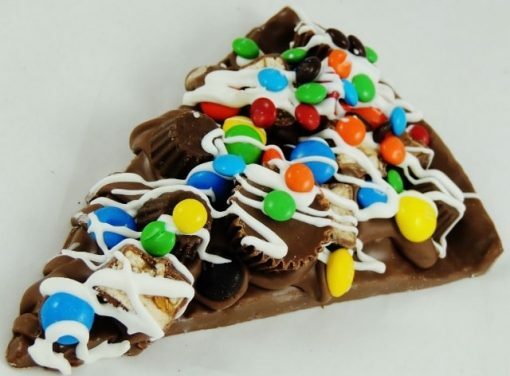 This Slice comes wrapped in clear cellophane or an optional gift box.